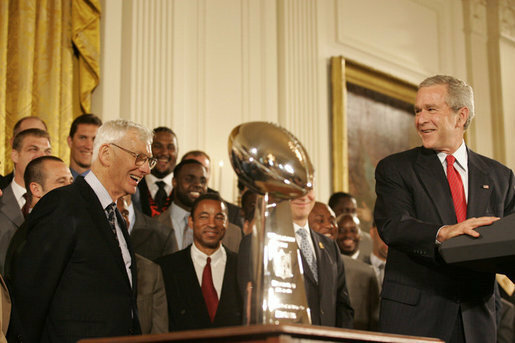 President George W. Bush addresses his remarks to Pittsburgh Steelers owner Dan Rooney as he welcomes the Super Bowl Champion Pittsburgh Steelers to the White House, Friday, June 2, 2006, during a ceremony in the East Room to honor the Super Bowl champs. Eric Draper, White House photographer. If you’ve ever worked for a humble leader, there’s something about their demeanor that makes you not only want to work harder but want to be a better human being. Through their example, these servant souls inspire everyone around them to respond in kind, resulting in a remarkable accumulative effect: Odds are defied, audacious goals are surpassed and teams connect in unprecedented ways. Former Pittsburgh Steelers Chairman, Dan Rooney, was one of those leaders. It’s strange how serendipity works. I had planned on writing to you about humility this week and then I learned that Rooney sadly had passed away at the age of 84. I can’t think of a better reason to pause and contemplate the importance of humility than to honor his legacy of leadership. As a kid from Pittsburgh, I grew up loving the Steelers, so naturally I was a fan of anyone who was part of the football program. As an adult, I learned that Rooney was much more than a person behind a Steelers’ job title. He was the soul of the organization whose humble nature tempered high testosterone levels and behemoth egos. His care for athletes as people was cultivated at an early age. Because Dan’s father, Art Rooney, was founder and owner of the Steelers, Dan would travel to games with players who often lent a hand with homework or cared for him on the road. Fast forward to adulthood and Dan Rooney became a respected leader known for ensuring that everyone’s voice was heard at the table—a quality that earned high praise from players, league officials and owners. Contrary to popular belief, humility doesn’t mean settling for less. Prior to Dan Rooney’s tenure at the helm, the Steelers lost 22 seasons with no championships. After he took over, the team won 15 division championships, eight AFC championships and six Super Bowls. Much like Rooney’s accomplishments on the field, I’ve observed how humility is a winning strategy for leaders off the field. 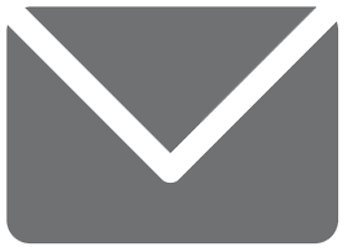 When I asked two of my colleagues—each very successful—about how they view their roles as CEO, one explained that she saw herself as a field general, working alongside her team, while the other saw his position at the bottom of an inverted pyramid with his staff at the top. Each viewed their position as part of a greater whole and an opportunity to empower others. Dan Rooney’s relationship with Steeler athletes over the years is a wonderful story about treating one another with respect and as human beings. What Rooney learned as a child, he reciprocated as an adult. He became a champion of humility and, ultimately, the game.